I love it when a new idea comes together on the first try and is a hit with the family. I just decided to make a cauliflower soup today because I had a head of cauliflower and I needed to make something with it before it was no longer edible. A nice soup came to mind because although we have been having nice warm weather during the day it is a little chilly at night. Besides, I can eat soup any day of the year because I just love soup! I am calling this one Orange Cauliflower Soup because I used diced red peppers in the soup which made it turn a pale orange color. 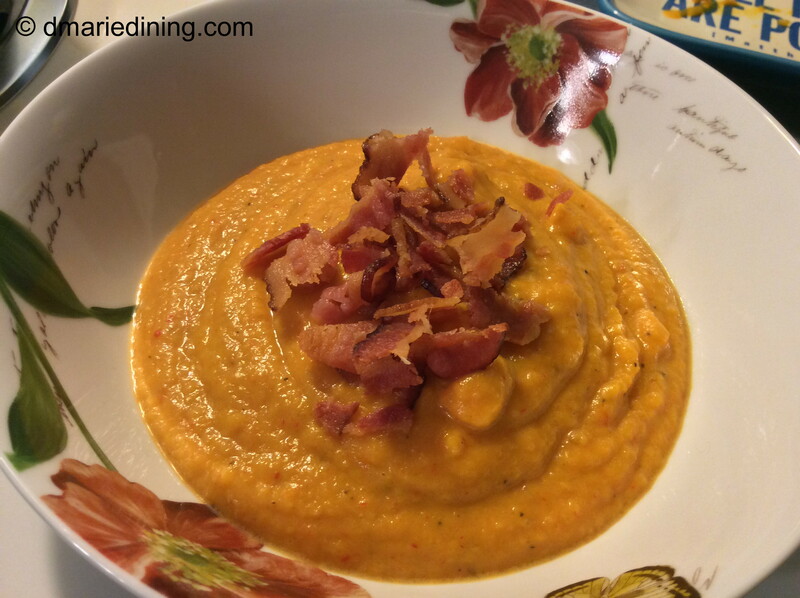 I was not sure how everyone else would react to the color but I liked it so….. Orange Cauliflower Soup was born. Just making cauliflower soup was not enough. I wanted to add a slight richness to the soup and decided what better way to make it taste rich without a ton of calories than to add a little cheese. I think I have had cheesy cauliflower soup in the past but it was a little too rich for my blood. Adding just a little cheese keeps the calories down, adds thickness to the soup and definitely adds another level of flavor. Whenever I put together a post I have to set up the food and take pictures of each step of the process. The last step of course is taking a picture of the finished product. After taking a picture of my new creation I figured I would clean up the kitchen so that I could enjoy a bowl of soup without thinking about the slight mess I had made. Well, my youngest son descended upon the kitchen with his girlfriend and immediately wanted to know if I had taken my last picture of the soup. I didn’t think he wanted to eat it (silly me) but he asked if he could taste it. Of course I said sure since I always need a taste tester for my recipes. The first words out of his mouth were “This is what I am going to miss!” That put a smile on my face because he is headed to college in a few months and I know he is going to miss my home cooking. My smile got even bigger when his girlfriend asked if she could try it and again I said sure. She said it was delicious and being the mom that I am I told her to take some home. Seems the soup fairy was on my side today and gave me a hit recipe on the first try. Thanks soup fairy! Heat olive oil in a large pot over medium high heat. 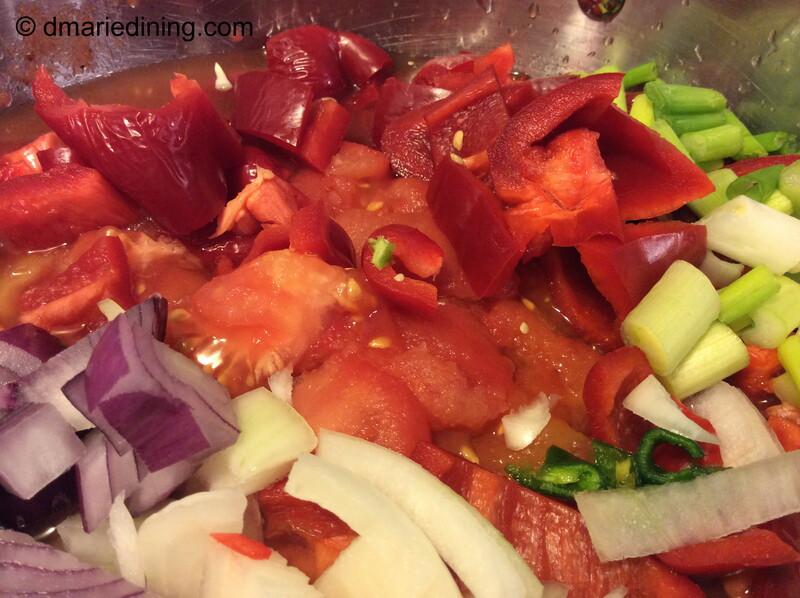 Add diced onions and red peppers. Saute until slightly browned. Add seasonings and stir. 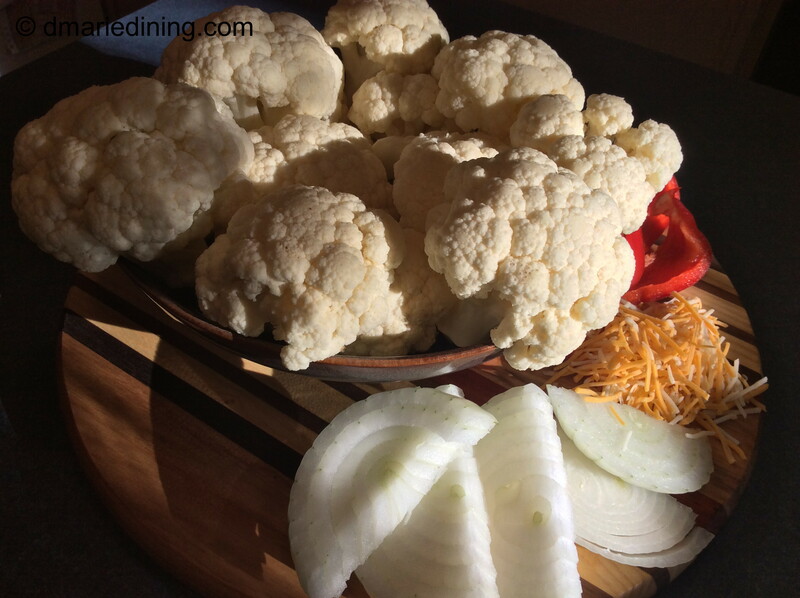 Add cauliflower and stir to mix with onions and peppers. Cook for 2 – 3 minutes. 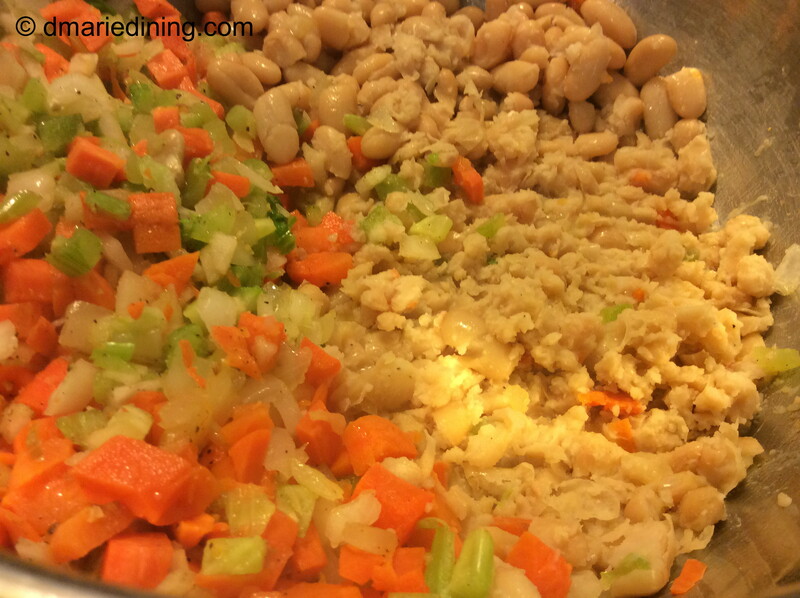 Add chicken broth and water. Stir then bring to a boil. Reduce heat to medium and cover. Let simmer until cauliflower is soft. Using an immersion blender, blend cauliflower until smooth but leave a few florets to create texture. Turn heat down to low. In a small pan melt butter and add flour. Whisk until flour and butter are blended and form a paste. Add milk and whisk until sauce is thickened. Season with a little season salt and black pepper. 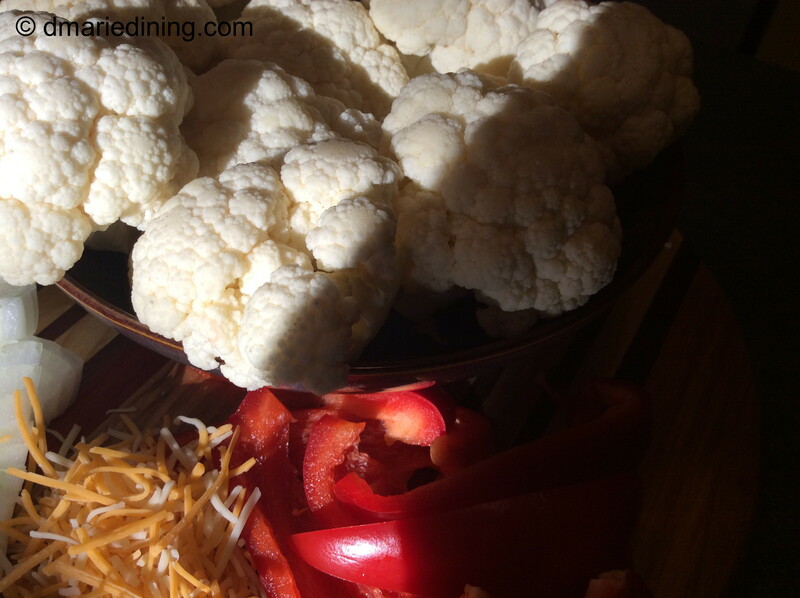 Add white sauce to cauliflower and whisk to blend. Stir in cheese. Continue stirring until cheese is well blended into the soup. Taste to see if a little more salt or black pepper is needed. 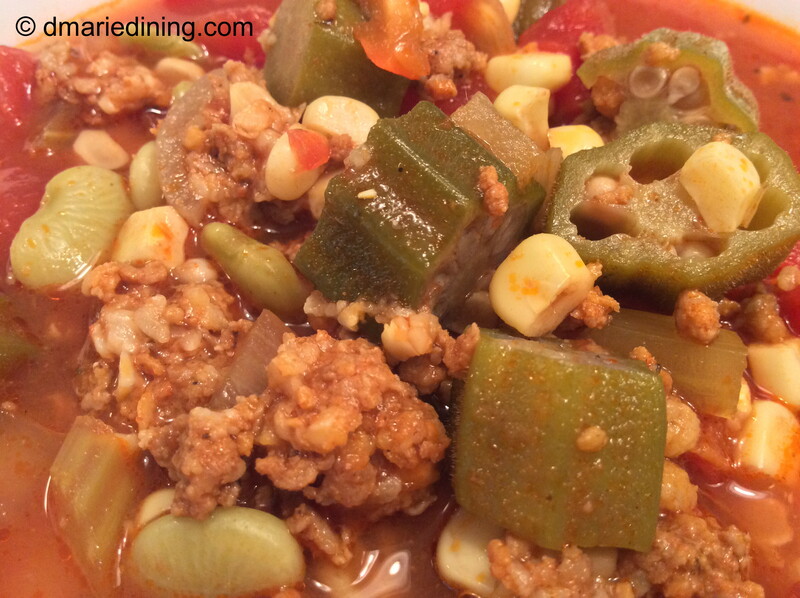 During the summer months I often have a taste for gumbo or jambalaya but those dishes can be a little heavy. So, to compensate and satisfy my taste buds, I will make a Louisiana Style Soup in warmer weather. 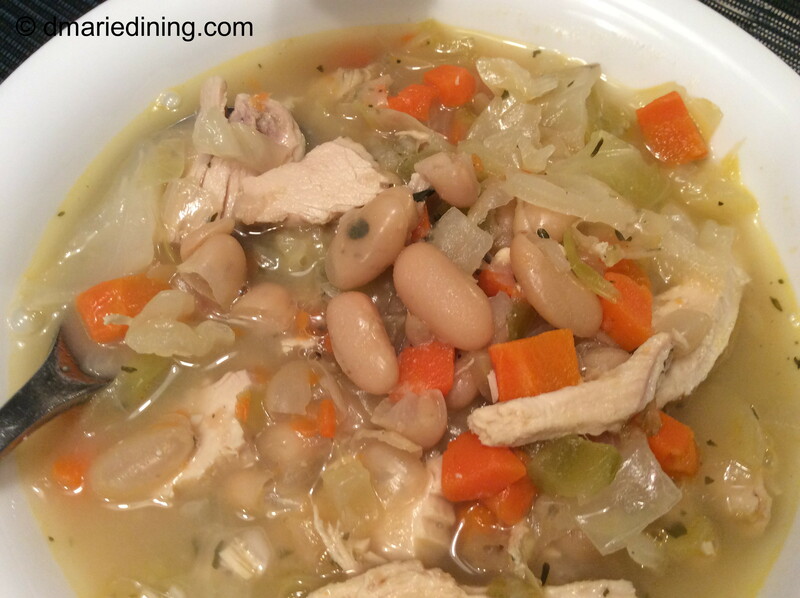 This soup is much lighter than gumbo or jambalaya but it has similar flavors. Creole food is the soul food of the south mid-west. Creole cooking is a blend of French, Spanish, Caribbean, West African, Portuguese and several other country cuisines. While Cajun dishes originate from a style of cooking by French speaking Acadians that were exiled to Louisiana. (a partial history lesson). Many people think there is no difference between Creole and Cajun foods but there really is a difference. The biggest difference is that Creole cuisines use tomatoes in most dishes while Cajun cuisines do not. 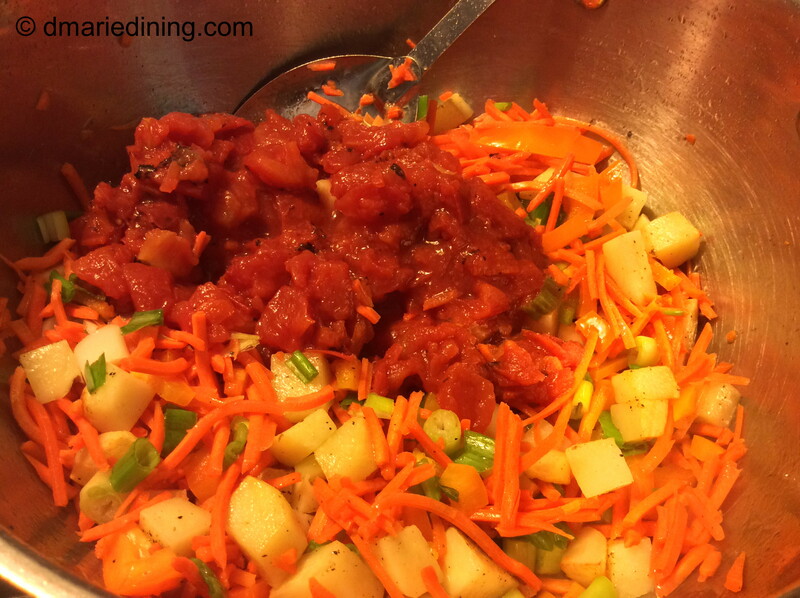 Another difference is how each prepares a roux or thickening for dishes like jambalaya. A Creole roux is made with butter and flour while a Cajun roux is made with oil and flour. 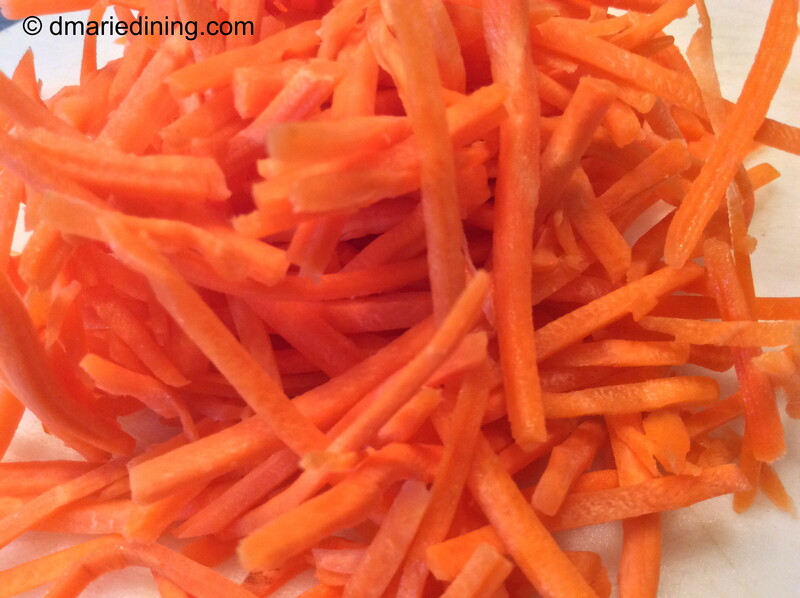 It may not sound like a big difference but it is when you are talking about flavors. One more interesting tidbit about Creole vs. Cajun dishes is that Creole cooking is considered “city” food while Cajun cooking is considered “country” food. Hmmm… that may explain why hubby really likes Creole cooking while I enjoy Cajun foods. He is more of a city boy who loves tomatoes while I am a country girl at heart who just loves food. 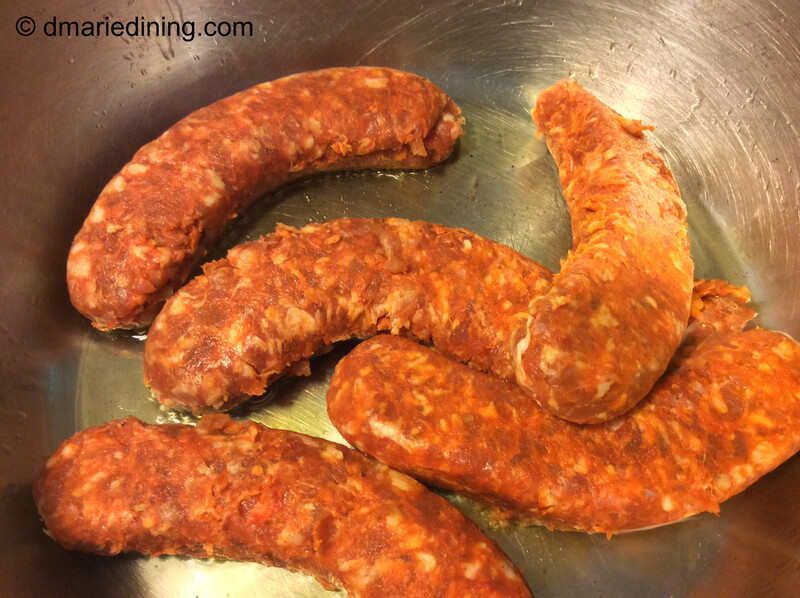 Brown spicy ground sausage in a large pot over medium heat. Remove from pot and drain on paper towels. 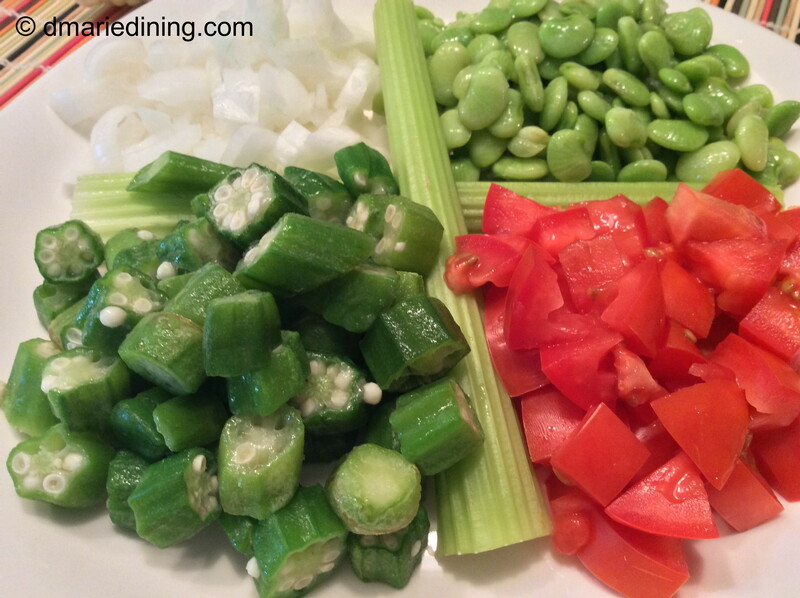 Add butter to the pan along with green pepper, celery and onion. Season with salt and black pepper then saute for a few minutes until vegetables soften. Add remaining ingredients to the pot along with sausage. Stir to blend then reduce heat and let simmer for 30 to 45 minutes. 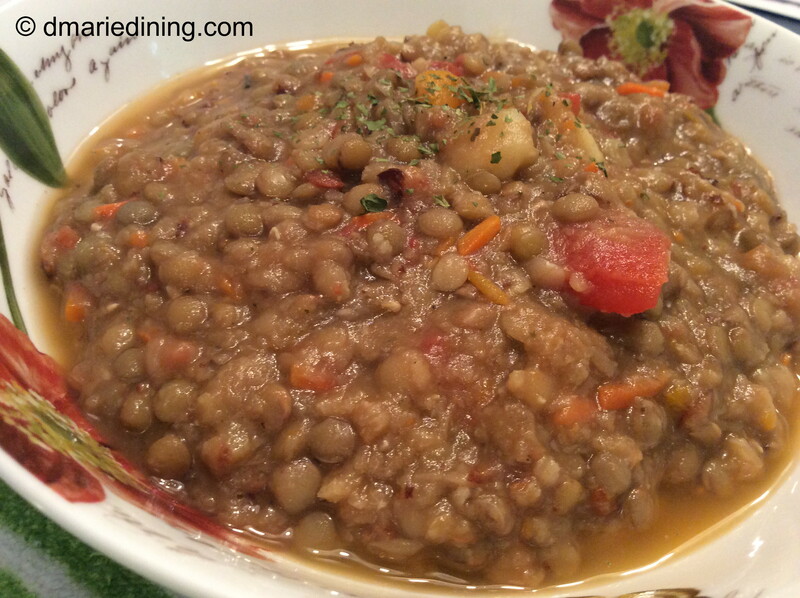 Serve with rice or top with garlic croutons. My Tomato Soup is not like your popular brand of canned tomato soup. It is much better. At least that is what my hubby thinks. After eating two bowls of my Tomato Soup he proclaimed it was the best soup I had made to date and he enjoys all of my homemade soups. 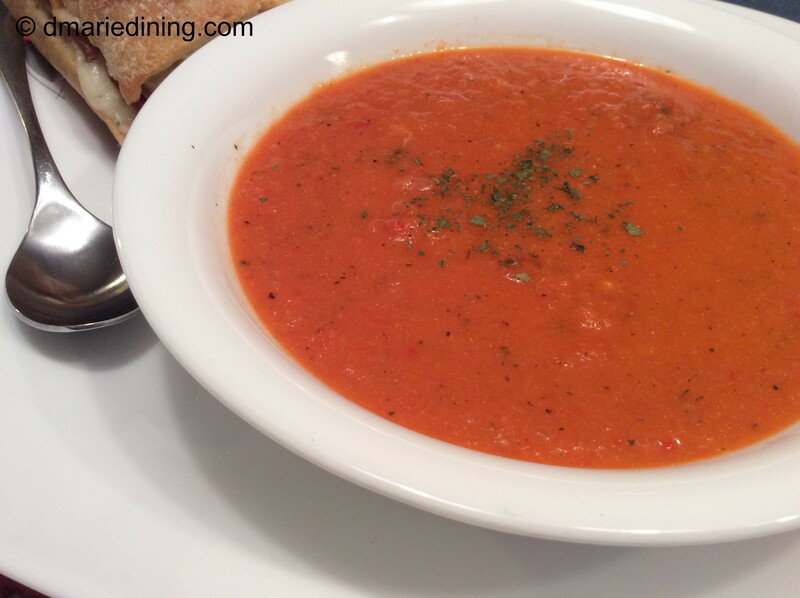 Using a combination of fresh and canned tomatoes makes this soup tasty and gives it texture. 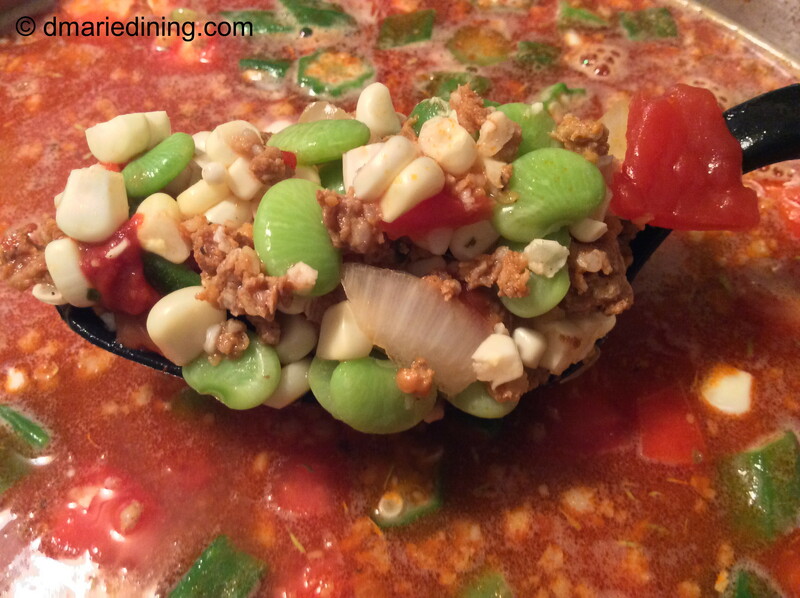 I like smooth soups but I also enjoy soups with a little texture which lets you know what kind of soup you are eating. A good test of whether or not a soup is blog worthy for me is if I want to dip a sandwich into it. At the very least, a good test is if I want to take that last piece of bread and run it around the bowl to get every last bit of soup. By those standards this soup was fantastic! Not only did I dip my sandwich into it, I licked my fingers to get the few drops that landed there after dipping. Yum! Yum! Boil about 4 cups of water. 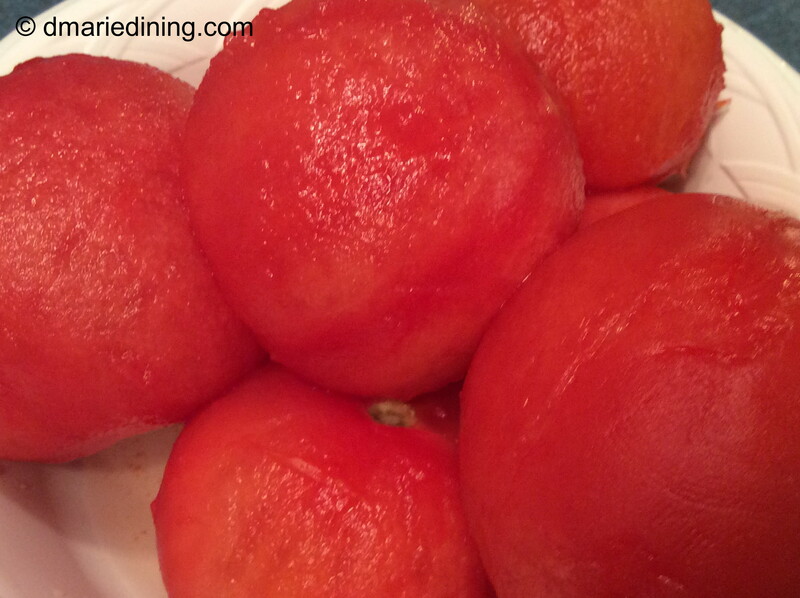 Place fresh tomatoes in a large pot and pour boiling water over tomatoes for easy peeling. Rough chop the tomatoes. Place peeled tomatoes and all other ingredients except the Parmesan cheese, heavy cream and ½ and ½ into a large pot. 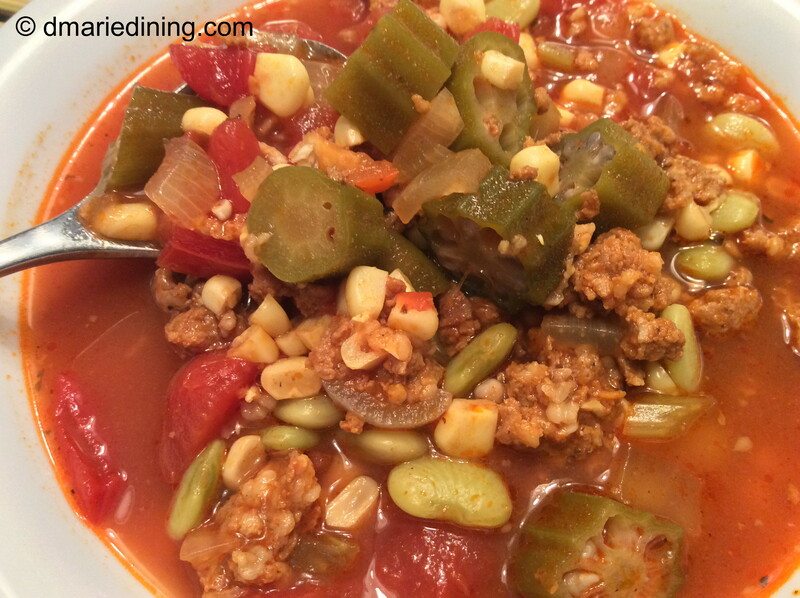 Simmer over medium heat for 25 – 30 minutes. Remove from the heat. 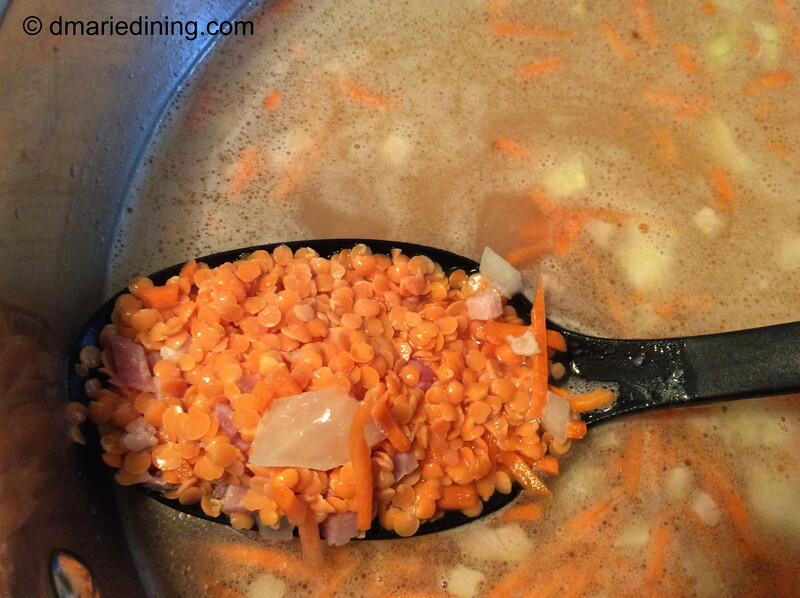 Use an immersion blender to blend soup until it is smooth but still has some texture. 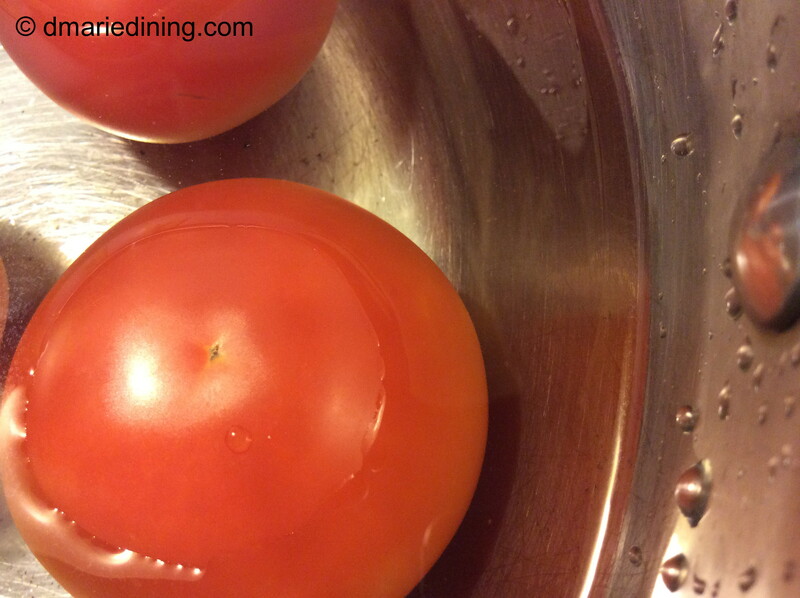 You can also place the tomato mixture into a blender to smooth out the veggies then place back into the pot. Stir in heavy cream and ½ and ½. Place pot back on the heat and reduce heat to medium low. 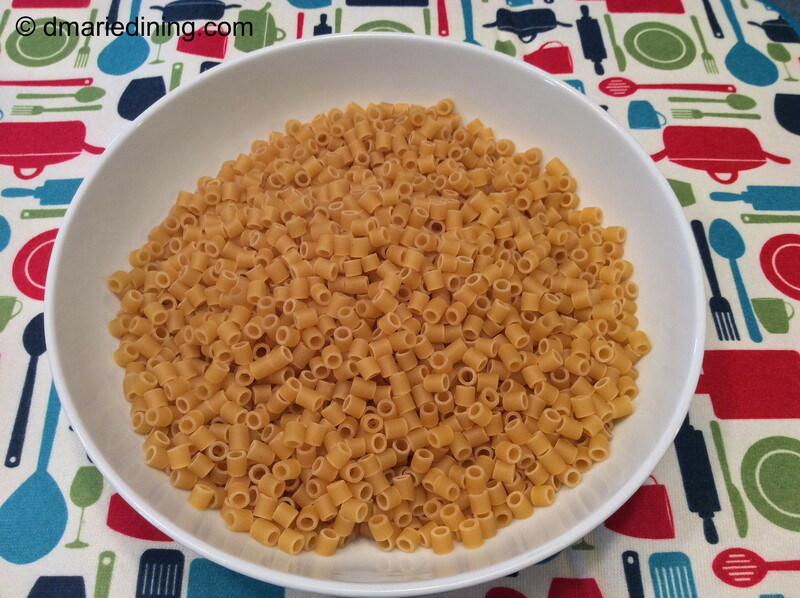 Add parmesan cheese to the pot and stir for 1 – 2 minutes until the cheese melts and is incorporated into the soup. Simmer an additional 15 minutes. 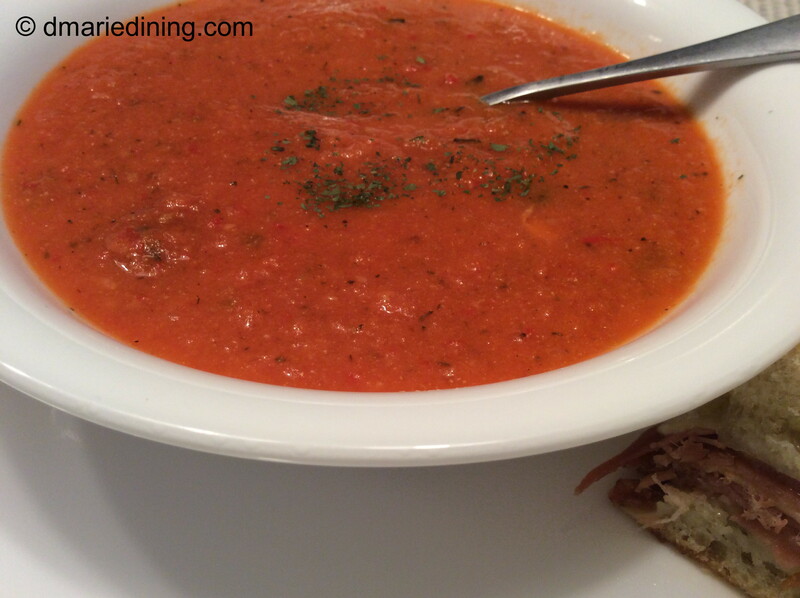 Serve with a nice crusty piece of bread to sop up all the tomato soup goodness! There are two foods I love to eat but until recently I never thought of putting them together into one recipe. I love eating apples and I really like butternut squash. Once I thought of combining them into a recipe I was on a roll. 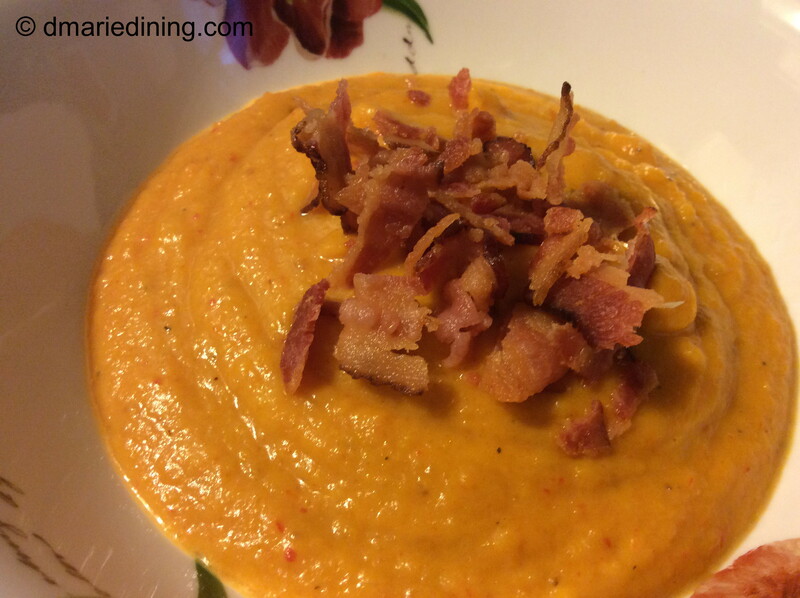 The first recipe I came up with was a Butternut Squash and Apple Soup. Soup seemed the most logical recipe to try since the day was crisp, cold and little windy. Days like that call out for soup and I just happen to have both butternut squash and granny smith apples on hand. Years ago squash was classified as either a winter squash or a summer squash. Butternut Squash is known as a winter squash because they are generally picked in the winter and have a thick skin. Summer squash is picked in the summer and has a delicate thin skin that is edible. 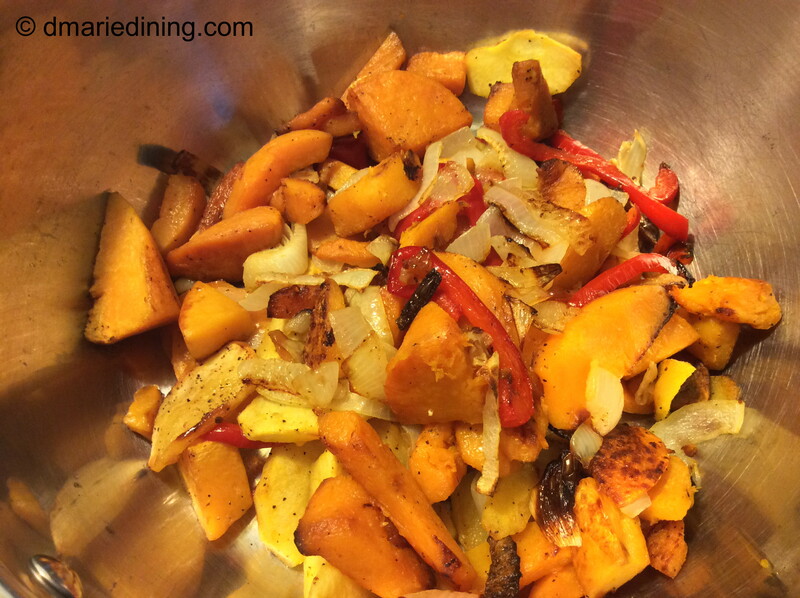 During the summer months I love to make sauteed yellow squash with onions. I also like to make Zucchini and Tomatoes with onions. Both squashes have a thin skin and are wonderful when mixed with onions and/or tomatoes. Soup is very versatile which means you can toss almost any combination of vegetables together with a little broth and call it soup. This time around I tossed veggies and fruit together and the result was delicious if I do say so myself. I have roasted butternut squash with apples in the oven to create a tasty side dish with turkey or pork so I imagined the combination might taste pretty good in soup. My imagination turned into reality which is always a thrill! 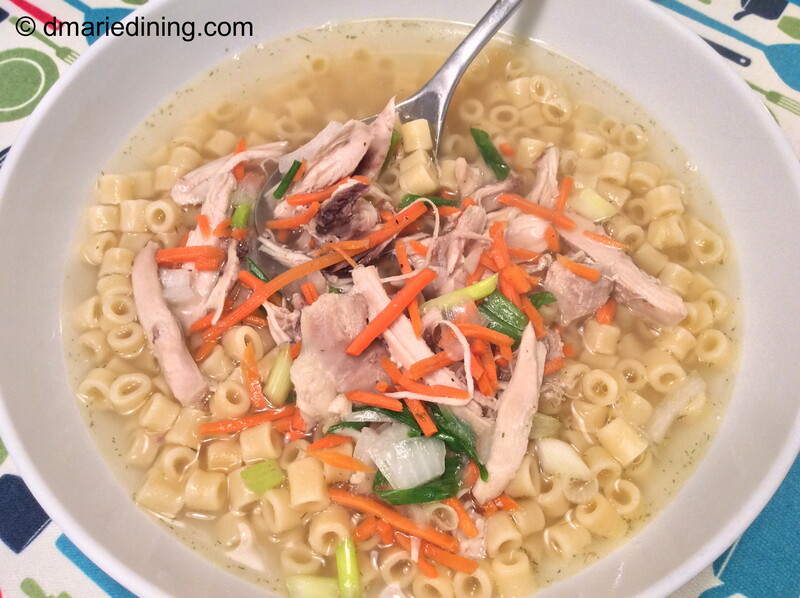 Whether you decide to make this soup during the crisp days of fall or in the middle of summer I think you will be pleased. Soups fans enjoy soup no matter the season. Me? I am truly a fan of soup. 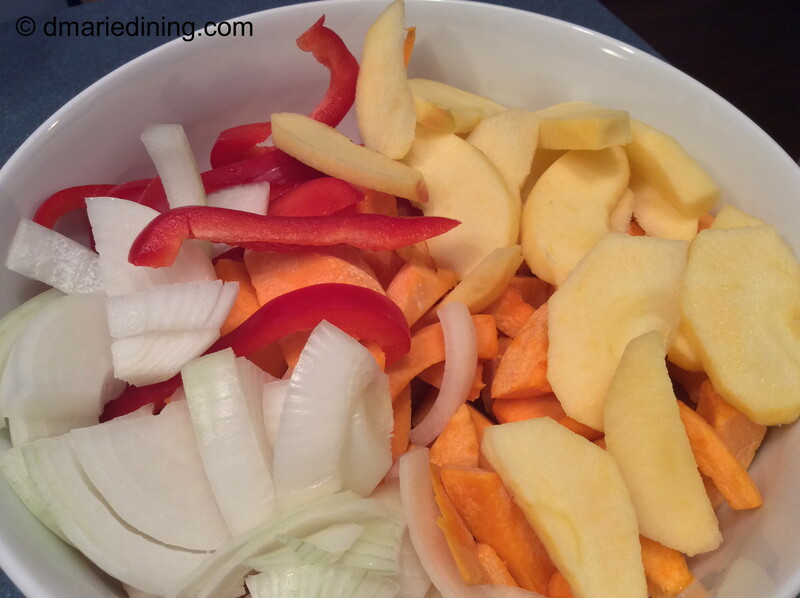 Place squash, apples, onions and red pepper in a large bowl. Drizzle with olive oil then sprinkle with salt and black pepper. Toss gently to coat. Spread out on a rimmed cookie sheet sprayed with cooking spray. 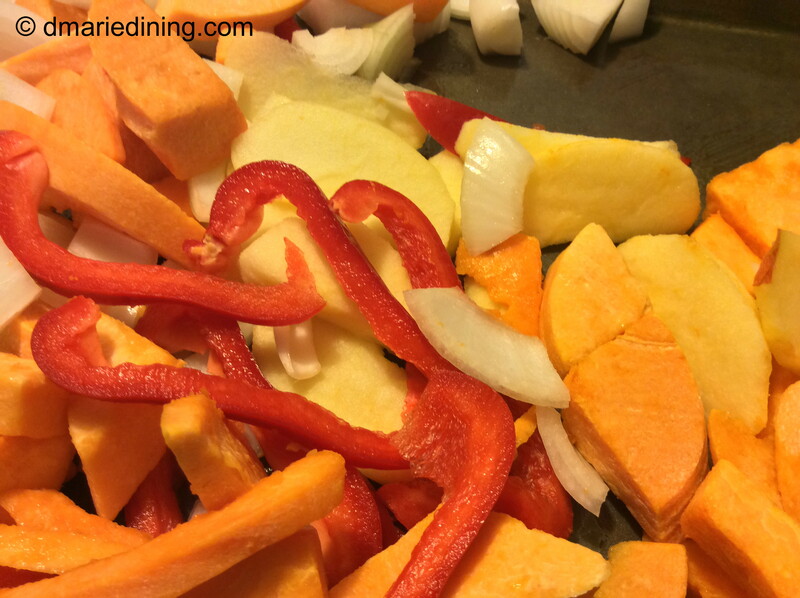 Place in oven and roast for 15-20 minutes until squash and apples softened. 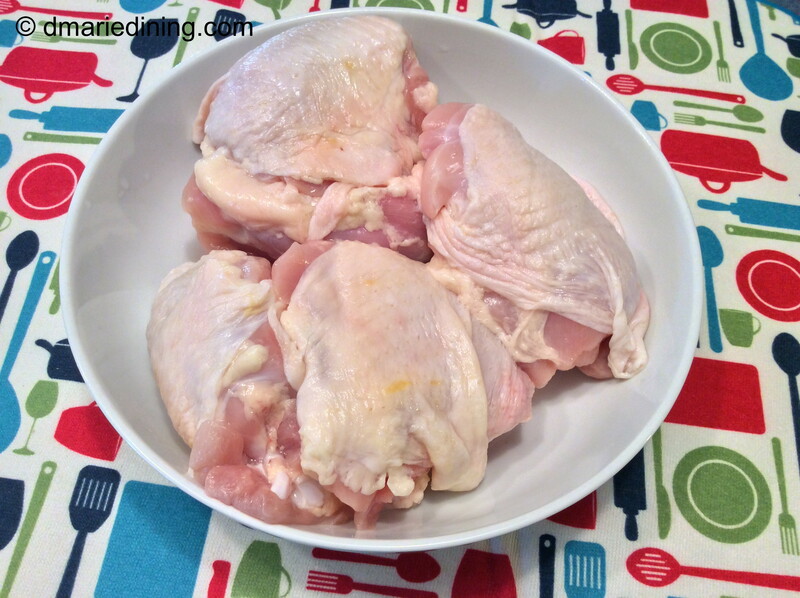 Remove from oven and place in a large pot. 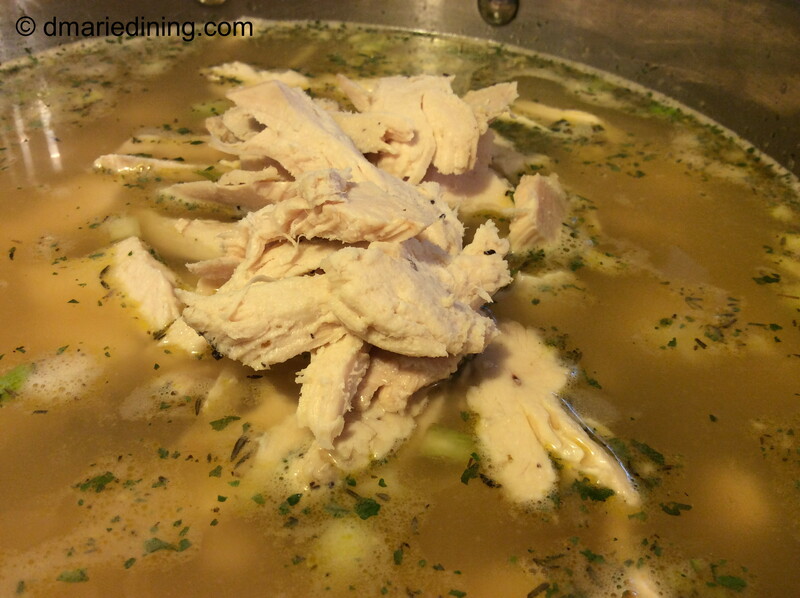 Add chicken broth and simmer for 5 minutes until is heated up. Remove from heat. Blend using an immusion blender or place in a blender until smooth. Stir in half and half along with heavy cream. Place back on low heat for 5 to 10 minutes until soup thickens. Ladle into bowls and sprinkle crumbed bacon and scalllions on top. Got leftover kale? Don’t throw it out. 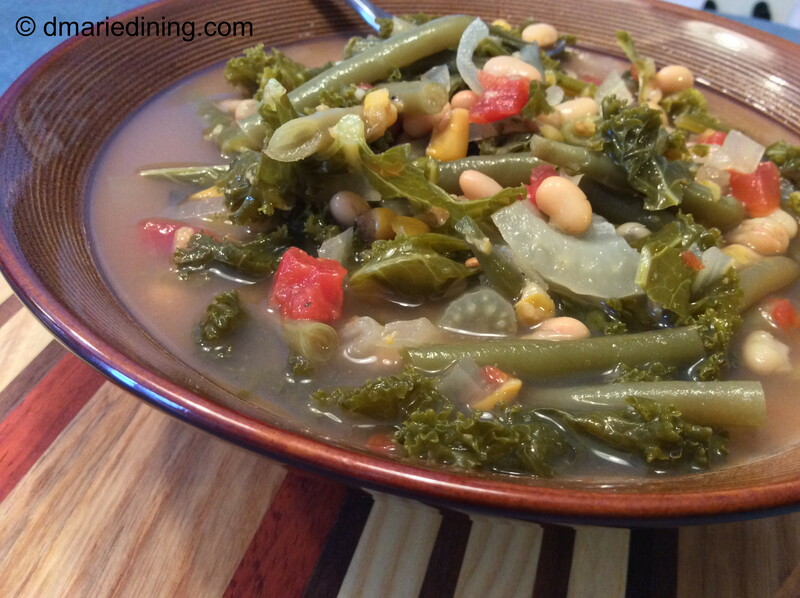 Whether it is from my Cannellini and Kale recipe, kale salad or some other kale dish you can turn it into a delicious soup. 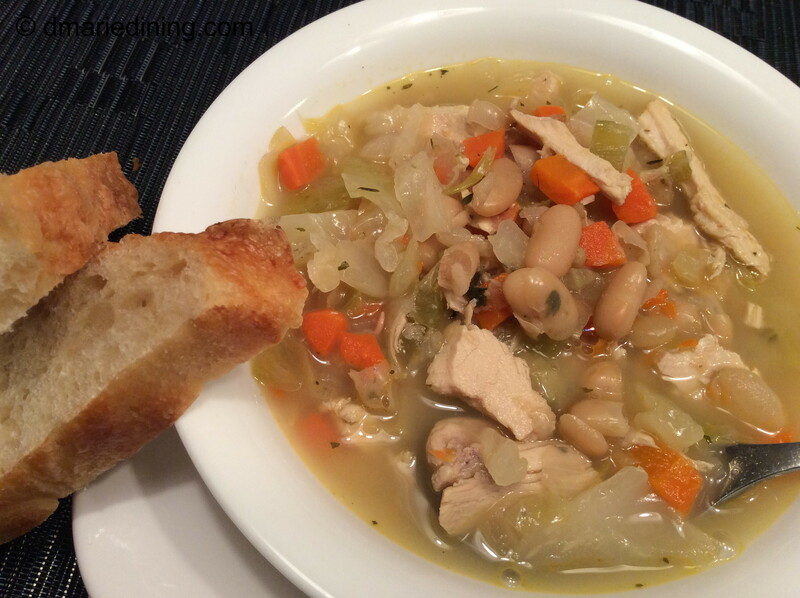 If you have been following my blog, you know I am a fan of soup. Creamy or brothy. I love soup any time of the year. Kale is one of those vegetables that has taken center stage in many kitchens whether at home or in restaurants. Kale has a beautiful vibrant green color and there are a few variations like common (curly) kale and Tuscan (Italian) kale and salad Savoy kale. The nutritional value is probably why kale has become so popular and can be prepared in multiple ways. Kale is a good source for protein, vitamin A, C and K. Plus, kale is considered to have cholesterol-lowering and cancer risk-lowering benefits. 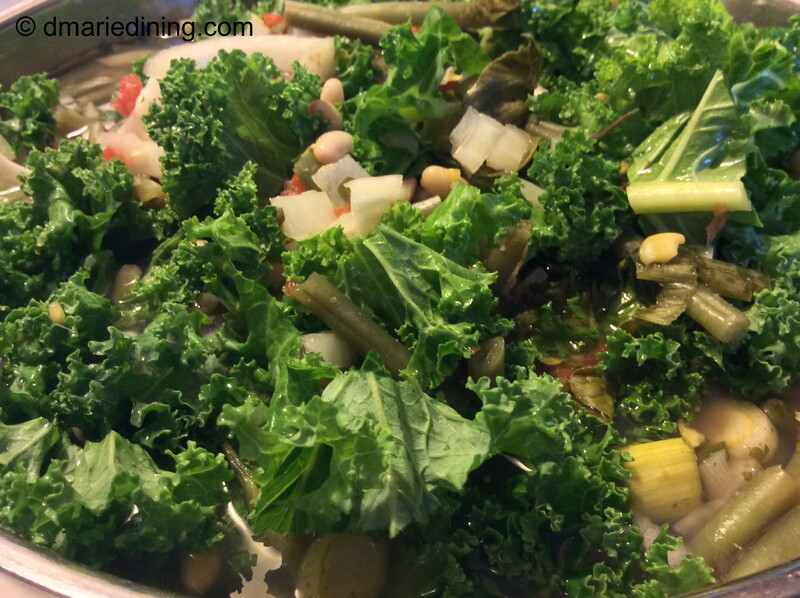 The other day I made kale as a side dish for dinner and had quite a bit leftover for the next day. I didn’t feel like eating it again as a side dish so I created a kale and sausage soup that was pretty tasty if I do say so myself. I think it helped that all of the seasonings I used in the kale the night before had a chance to meld together. Personally, I think soups, stews and certain other dishes taste better the next day just for this reason. 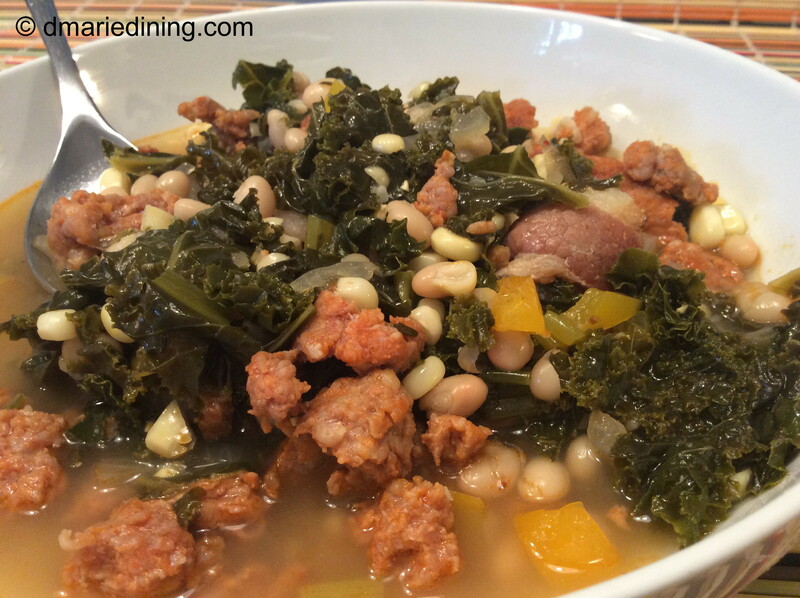 The best part about making Kale and Sausage Soup is that half of the work is already done if you use leftovers. 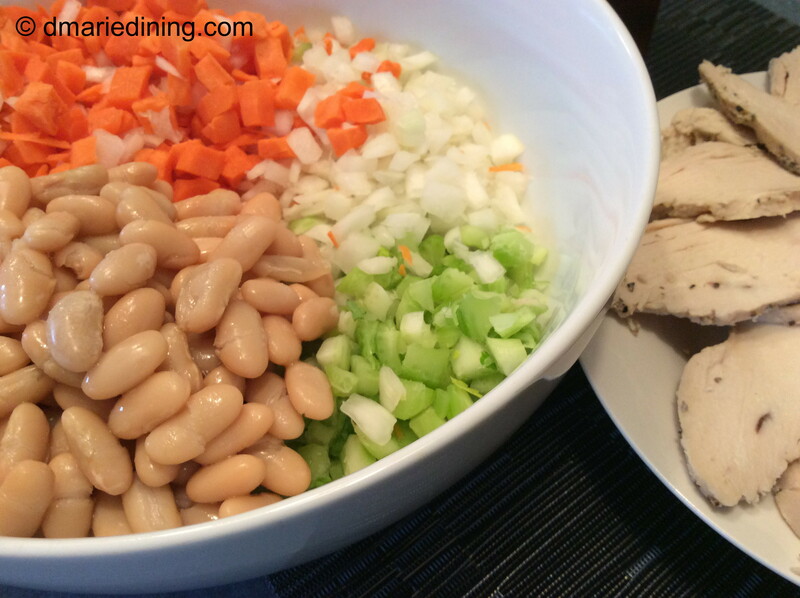 Add a few more ingredients and a tasty broth and you have a delicious meal or an appetizer to go with a delicious meal. Heat 2 tbsp of olive oil in a large pot over medium high heat. Add sausage. Break sausage with a spoon and brown. Remove from pot and drain on a paper towel. Pour off fat from sausage. Add remaining 2 tbsp of olive oil to the pot along with diced white onion and yellow pepper. 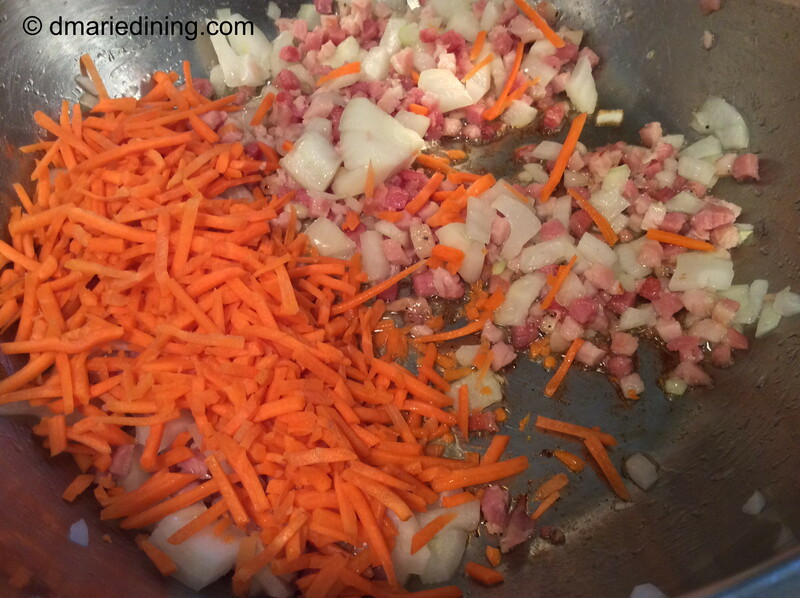 Sprinkle with salt and pepper then saute until vegetables are softened. Add chicken broth, water and sausage to the pot and reduce heat to medium. Let soup simmer for 3 minutes. Add kale, and remaining seasonings. 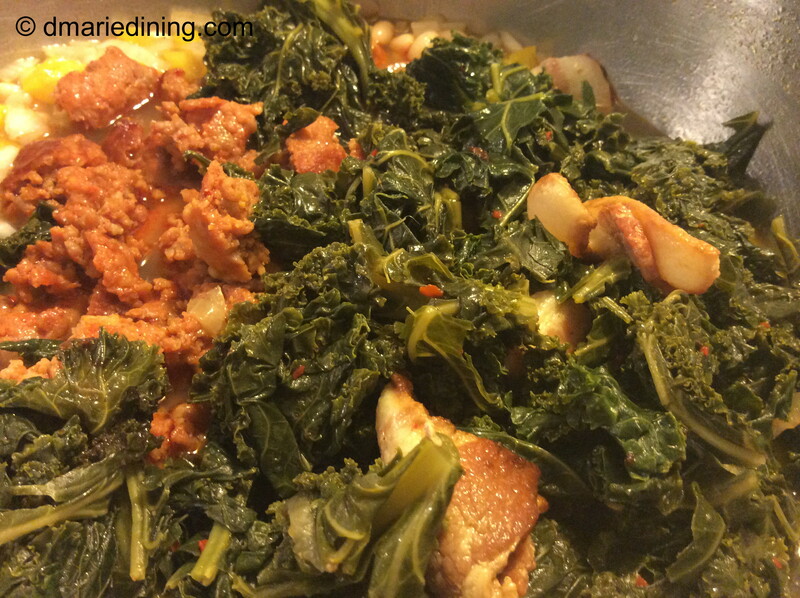 Stir and cook for an additional 10 minutes is using fresh kale and 5 minutes if using leftover kale. 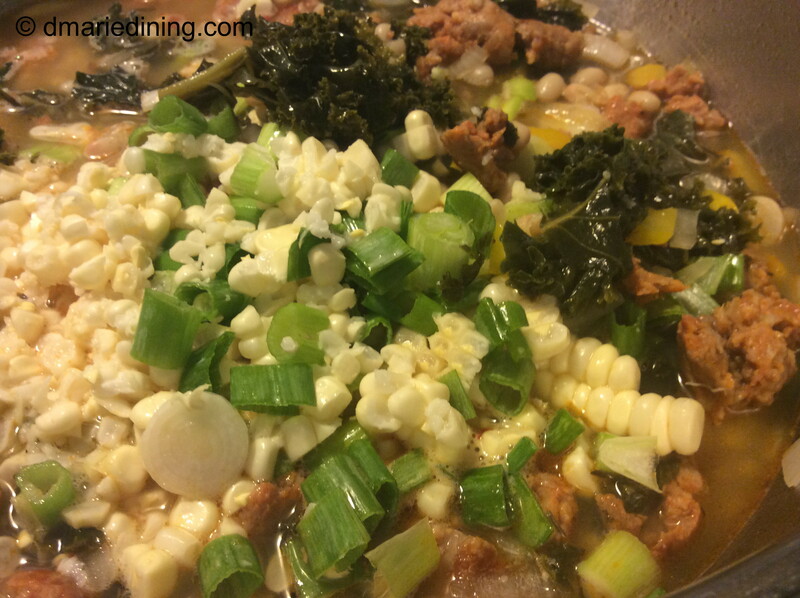 Stir in corn and scallions to the soup. Simmer for 3 minutes then turn off heat. 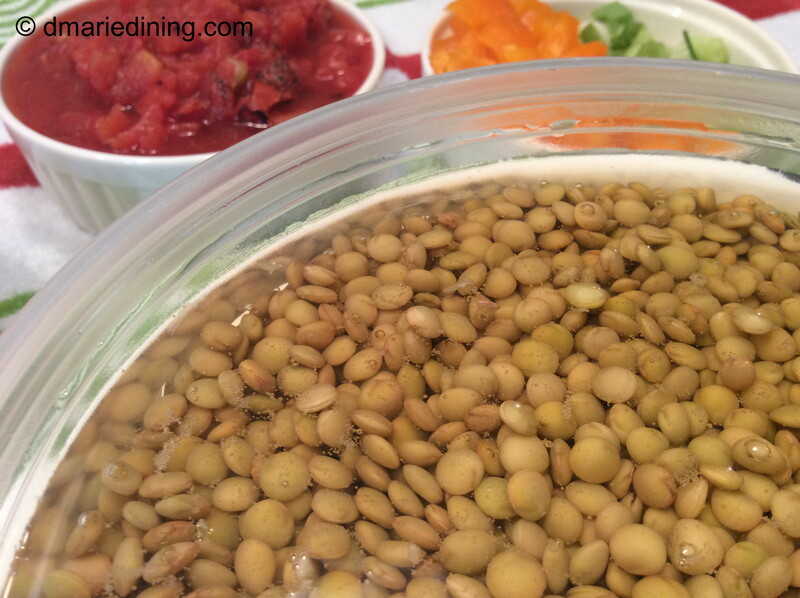 Serve with a slice of crusty bread or cornbread. 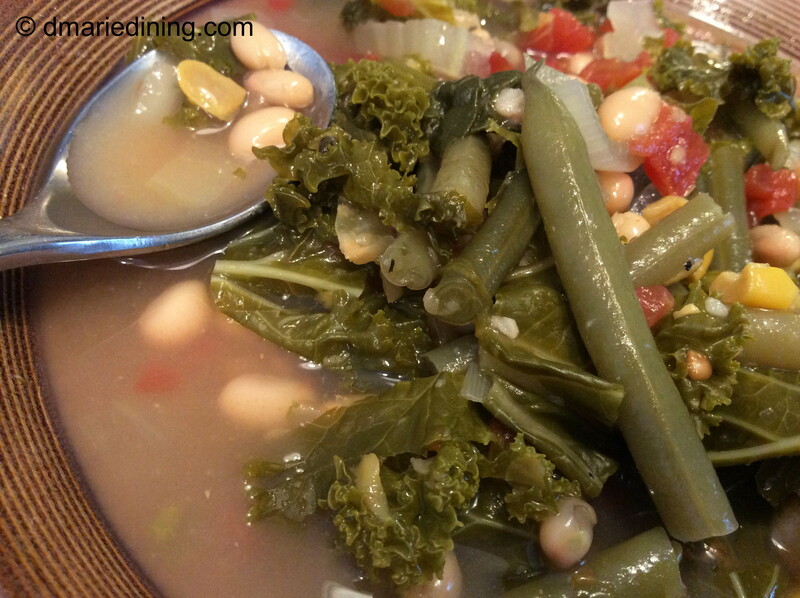 My mom loves to make vegetable soup in the winter or if there is a slight chill in the air. I really like her vegetable soup but when I cannot get to her house I have to make my own soup. 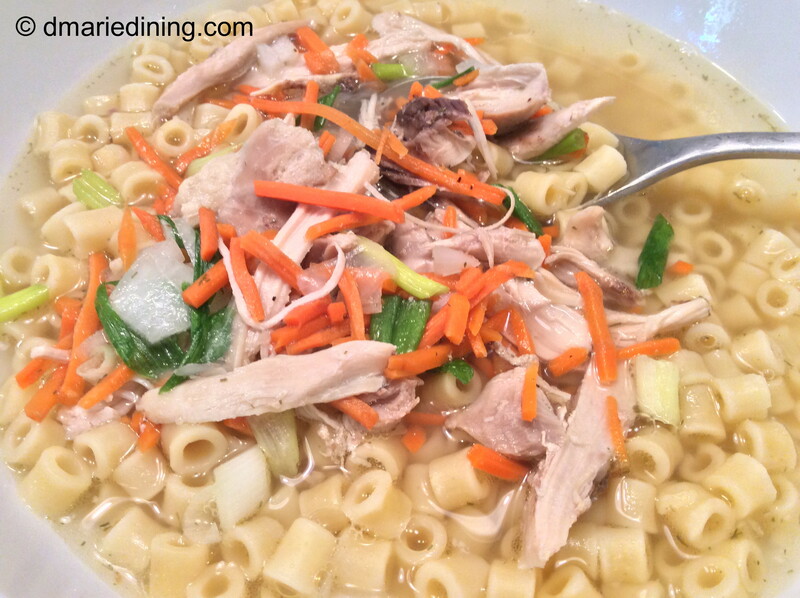 Usually, I make chicken corn chowder or some version of chicken noodle soup. 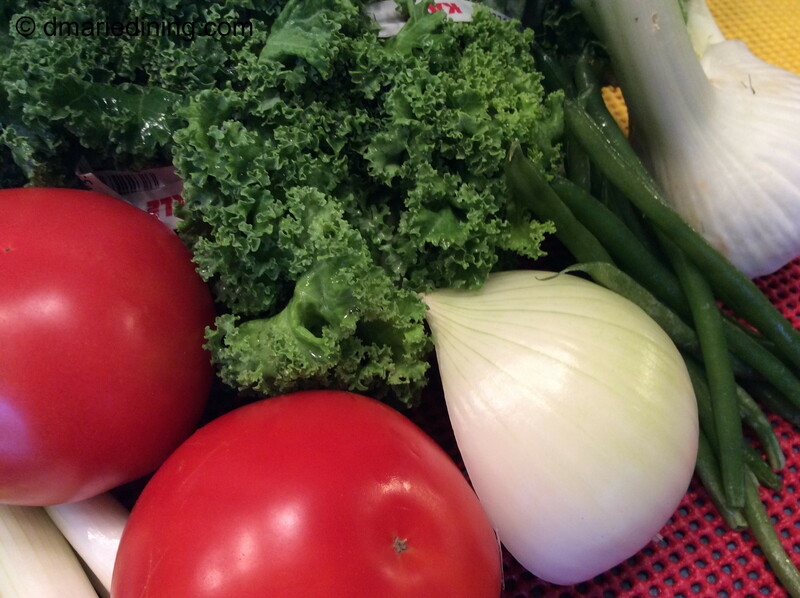 Today, I thought I would try my hand at creating my own vegetable soup. Besides, it was a cold snowy day and I couldn’t get to my mom’s house. My version of vegetable soup (Dee’s Veggie Soup) did not include any meat. My mom uses ham or smoked meats to help season her soup. I wanted mine to be purely vegetarian. The natural sweetness of the vegetables along with a few choice seasonings gave the soup the punch of flavor I desired. 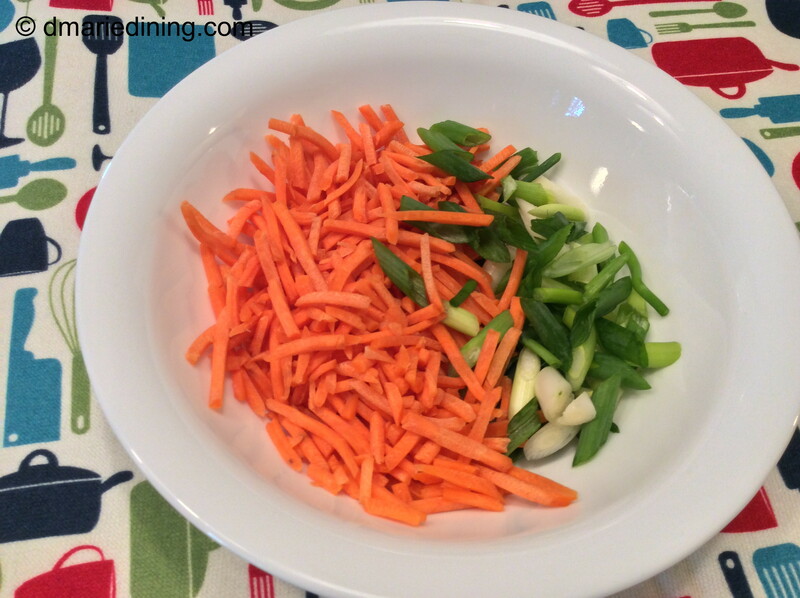 As for the vegetables I used in the soup, they were both traditional and non-traditional. Like my mom I used tomatoes, onions and cut green beans. 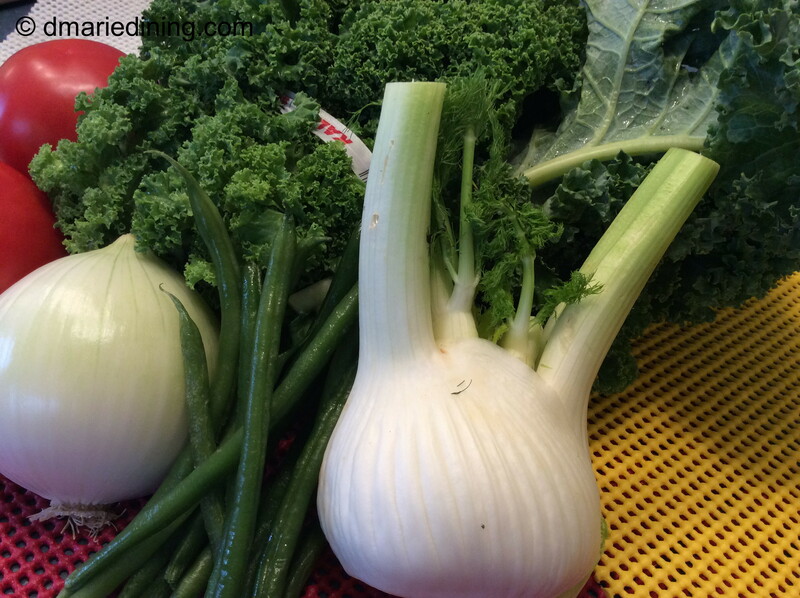 But, instead of adding celery and peas I used sliced fennel and kale. I also used a can of creamed corn to make the soup a little more savory. 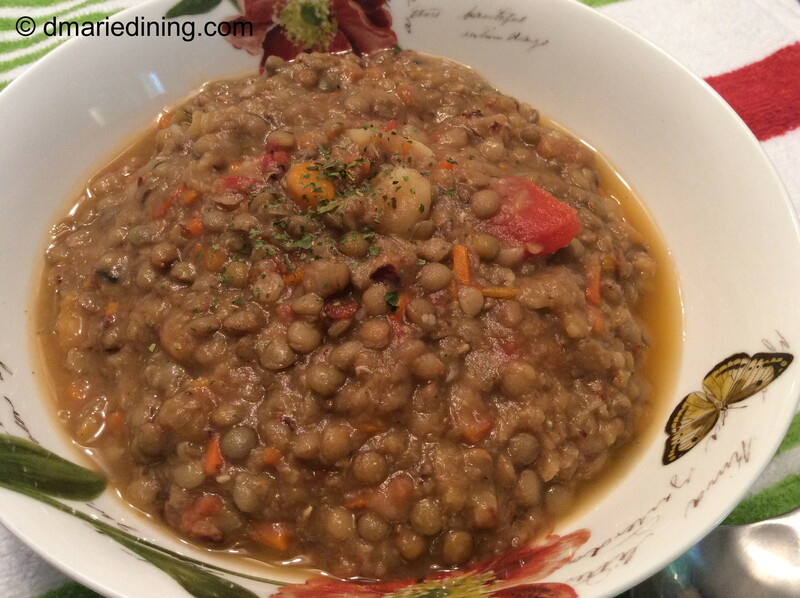 Dee’s Veggie Soup had several depths of flavor from the mix of vegetables and seasonings. I thought it was delicious and the soup definitely took the chill out of my bones. Hubby liked the soup too. Once he started dipping into his bowl of soup I don’t think he stopped until it was all gone. To me, that is one of the nicest compliments you can get when you cook. Place all ingredients except for kale into a large pot over medium heat. Cover and simmer for 30 minutes. Add kale. 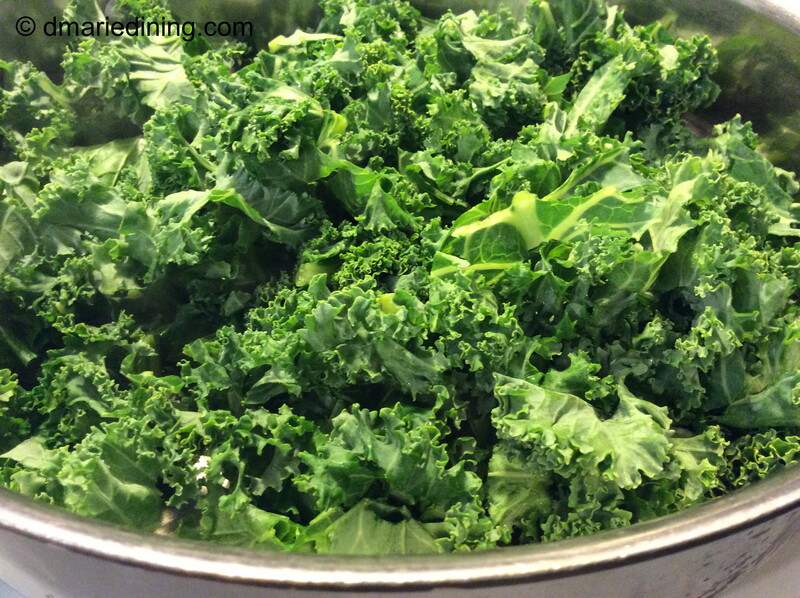 Stir and simmer for an additional 30 to 45 minutes until kale is tender.